US / 65 minutes / bw / RKO Radio Pictures Dir: Worthington Miner Exec Pr: Pandro S. Berman Scr: Francis Faragoh Story: Ein Mantel, ein Hut, ein Handschuh (1933 play) by Wilhelm Speyer Cine: J. Roy Hunt Cast: Ricardo Cortez, Barbara Robbins, John Beal, Dorothy Burgess, Paul Harvey, Sara Haden, Margaret Hamilton, David Durand, Murray Kinnell, Frederick Sullivan, Gayle Evers, Samuel S. Hinds. Hotshot NYC lawyer Robert Mitchell (Cortez) and his wife Dorothea (Robbins) have agreed to a trial separation, even though he loves her more than ever. She, on the other hand, has taken up with a boytoy (“Oh, nobody has the right to be as young as you are!” she tells him in a moment of unconscious honesty) in the shape of struggling Greenwich Village artist Jerry Hutchins (Beal), who, unlike other struggling Greenwich Village artists, appears always immaculately besuited, betied and begloved. 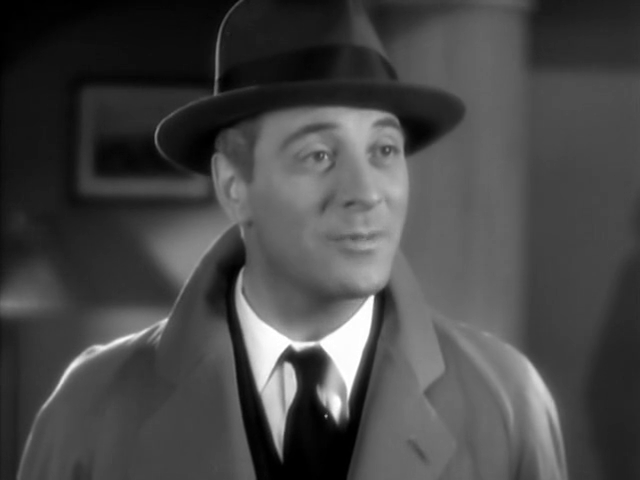 Ricardo Cortez as Robert Mitchell. 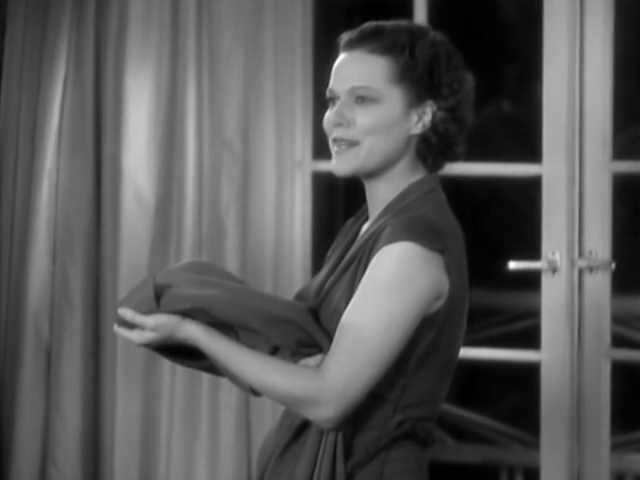 One night Jerry’s old girlfriend Ann Brewster (Burgess) invades his studio and tries to persuade him to take her back. He declines, and leaves her there with a bottle of strong liquor (which doesn’t last long) while he swans off to Dorothea’s digs. 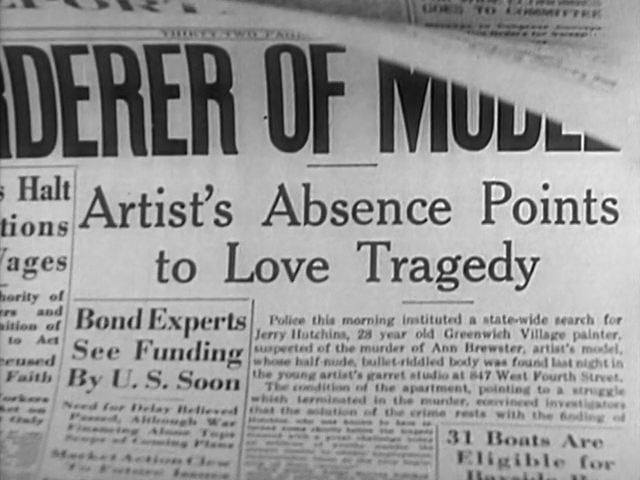 The next morning Ann is found in Jerry’s studio, shot dead. There’s plentiful circumstantial evidence pointing to Jerry as the killer. 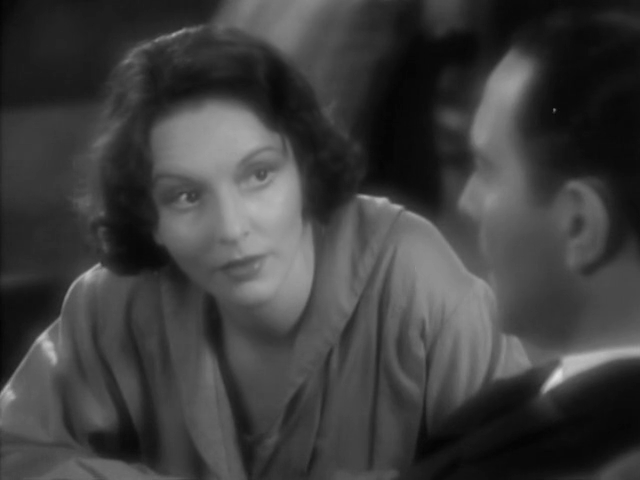 Barbara Robbins as Dorothea Mitchell. 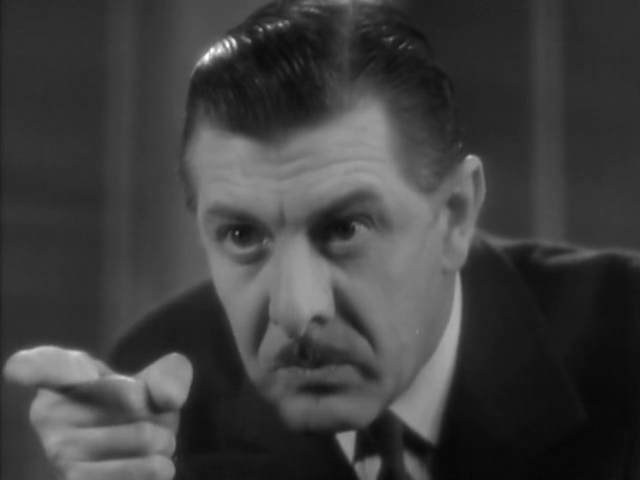 John Beal as Jerry Hutchins. In desperation Dorothea begs Robert to take on Jerry’s defense. He agrees, but only under condition that (a) Dorothea’s name—and the cast-iron alibi she could give Jerry—be kept out of it and (b), whatever the result of the case, Dorothea will come back to him . . .
. . . because marriages are just guaranteed to be a whooper-dooper success if one partner is only present because of blackmail. In fact, as expected and as we eventually find out, Robert isn’t that stupid. But the plot of Hat, Coat, and Glove has so many other howlers that our predictions that this should prove to be the case are by no means guaranteed of fulfillment. 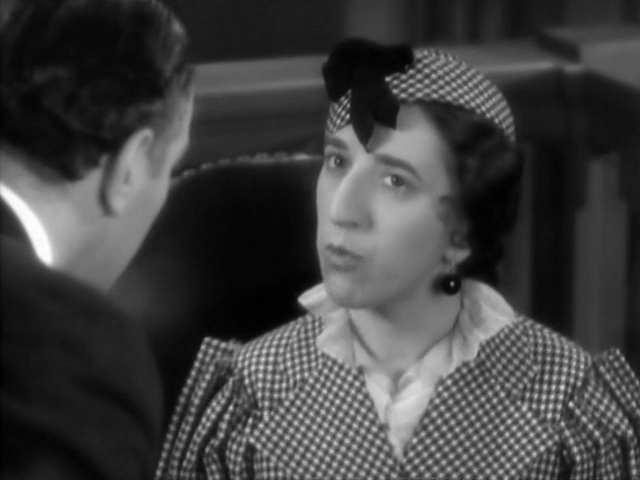 Dorothy Burgess as Ann Brewster. The movie’s very watchable—and it’s short!—but its plotting isn’t its only weakness. Often when movies are based on theatrical plays they betray their origins through a stodginess of setting, but that isn’t the case here; instead it’s very stagy performances from the principals that give the game away. The viewer who doesn’t pretty soon want to slap Ricardo Cortez upside the head for the milksoppishness of his performance has dozed off into their popcorn. Margaret Hamilton as Madame Du Barry. Years ago, before I became involved with commercial artists, I mixed with quite a few of what I might call the gallery/art college crowd, and, believe me, that piece of dialogue is spot-on. Paul Harvey as the prosecutor. 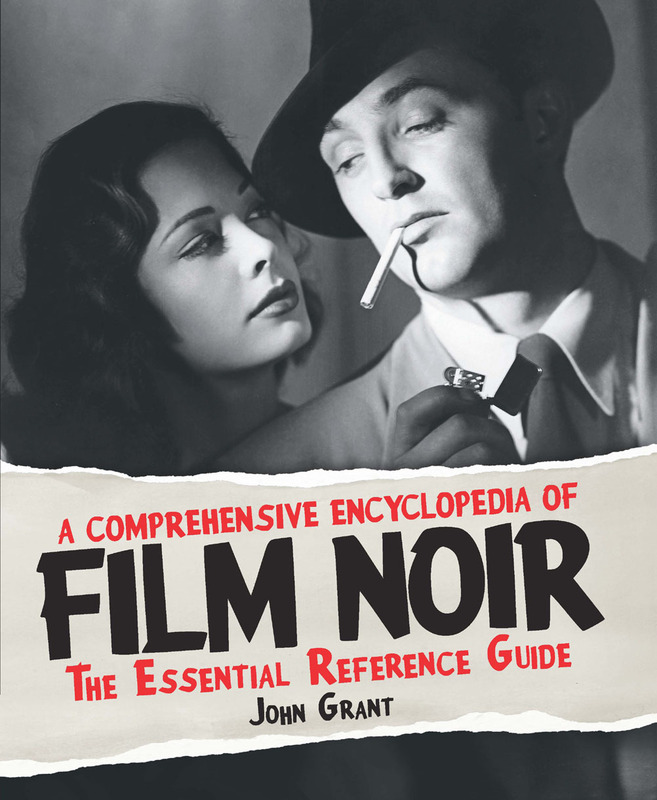 J. Roy Hunt’s cinematography deserves special mention. 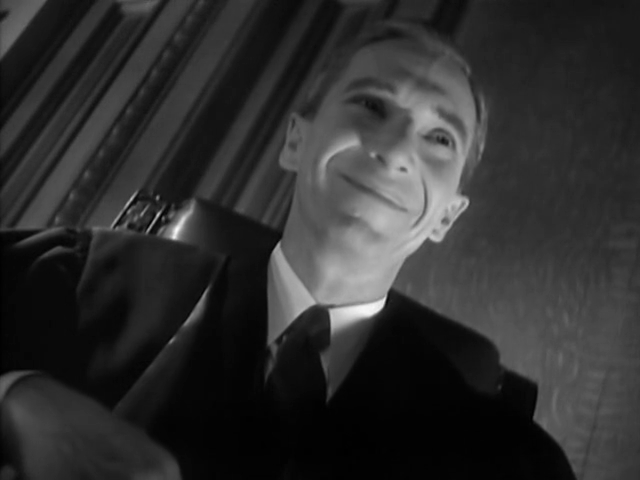 In one sequence in particular, as he displays the adults in a courtroom laughing at a young boy as figures of nightmare, Hunt delivers way above his pay-scale. 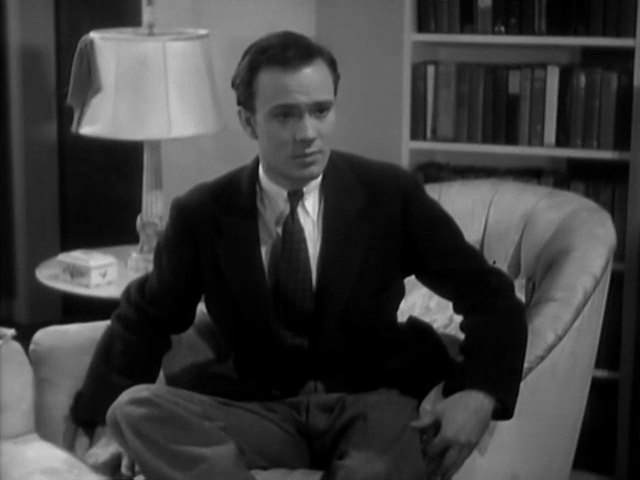 Murray Kinnell as the Judge. This entry was posted in Uncategorized and tagged Hat Coat and Glove (1934). Bookmark the permalink. Hmm, another one for the maybe list rather than the track it down one. Not sure, to be honest, how much this one would suit you. Love those fake newspapers! What’s going on with the bond deal? And what are those boats eligible for? Why thirty-one? That’s an unusual number!! In a lot of them you can see the props dept. has taken a real newspaper and stuck the relevant headline, etc., onto its front page, but squinting at this one I’d guess they’ve dummied up the whole front page. 31 boats could be eligible for, say, the Tall Ships race or one of those? Calcutta Cup, maybe? (If either existed back then.) And clearly the other headline refers to Cubby Broccoli’s early attempts to get US investment in this new movie franchise he’d established . . . I like your description: “besuited, betied and begloved”. I have met plenty of those types, and your description is perfect. Also: I nearly spewed my tea over my keyboard at the word “milksoppishness”. Thanks for the kind words, Ruth!